Make sure the "Incoming" text is removed when leaving configuration mode. Add configuration mode checkbox to configuration panel and remove description. Lots of work on the options. Prevent stuck bars when pets are dismissed or disappear (not tested very well, may need OnUpdate to make sure bars don't get stuck). Add support for moving bars around. Added ConfigMode support. Implement the incoming heal bar for the player. Add appropriate handling to the shared media callbacks. Complete rewrite. Uses Blizzard events (so no separation between hots and direct heals, and no timing or source information). 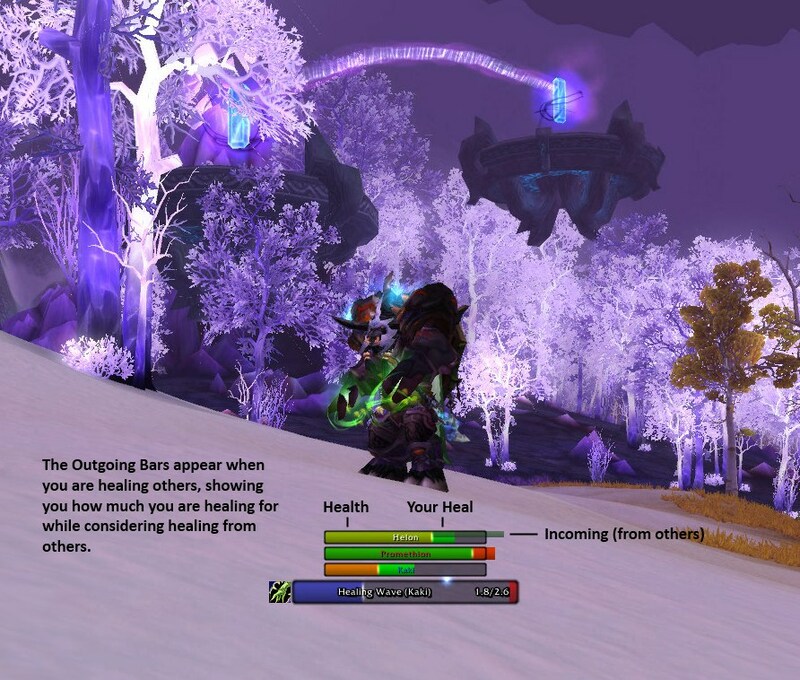 Allows display of multiple outgoing heal bars that are dynamically created as needed. Incoming heal bar not implemented yet. Options need much more work. Fix the this->self errors and commit some changes that never made it earlier.